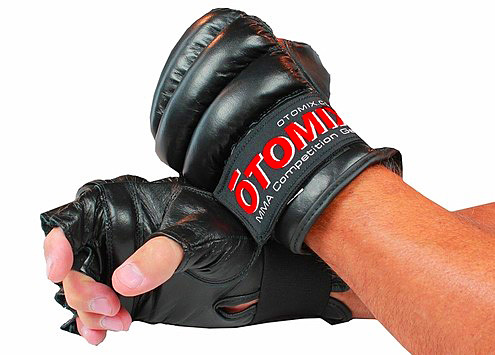 These gloves are great for beginners of MMA and as a glove for light contact workouts. The open finger style allows for grappling work which is common in MMA and UFC style fighting. Jiu-Jitsu also employs techniques where these gloves will come in handy. The economic price makes these a perfect accessory for anyone who uses a martial arts style workout. These gloves are constructed of a light weight leather and features additional padding on fist and knuckles. Unlike traditional MMA gloves these gloves feature padding for the thumb which offers additional protection. Wrist wrap is an elastic Velcro strap which gives them an easy on easy off feature. For a more advanced glove try our MMA Gloves.